Meditation Isn't Enough: A Buddhist Perspective on Suicide by Lodro Rinzler, explores how suicidal ideation and attempted suicide may accompany depressive symptoms. Rinzler uses the suicide of Robin Williams as an example of how depression may be hidden and suicidal ideation, attempts, and successful completions can occur in anyone. The author indicates that "What we mean when we say "I never thought someone like him..." is that we can't wrap our minds around certain people whom we deem successful or joyful or wise suffering from the same sorts of demons that we ourselves face. Studies have shown that one in ten people in the United States are afflicted with depression, and Robin Williams is said to be one of these people. The author makes a larger self disclosure on how he suffered from depressive symptoms that developed into suicidal thinking after a string of painful life events. Despite believing in Meditation and even publishing books on how to use Meditation as a way to alleviate symptoms of depression, the author discusses how his symptoms became so overwhelming that it was difficult for him to use the techniques that he knew so well. Rinzler uses insight to explain how depression can compromise a person and that anyone can experience extreme suffering including major depression. The author’s argument is that depression is complicated and can be so overwhelming it can lead to suicidal thoughts or actions. It is the author’s belief that meditation can be helpful, but it is not a substitution for medication or other treatment. Rinzler believes that, “If you even remotely feel like you are struggling with depression or are going through an emotional time that simply feels out of control, the best way to take care of yourself is to seek guidance from trained professionals. Sure that can be a meditation teacher, but a therapist may prove more helpful at that time. Therapy in-and-of itself can be a mindfulness practice, where you bring your full attention for an hour each week to what is expressing itself in your body and your mind. Don't feel like you have to go it alone. 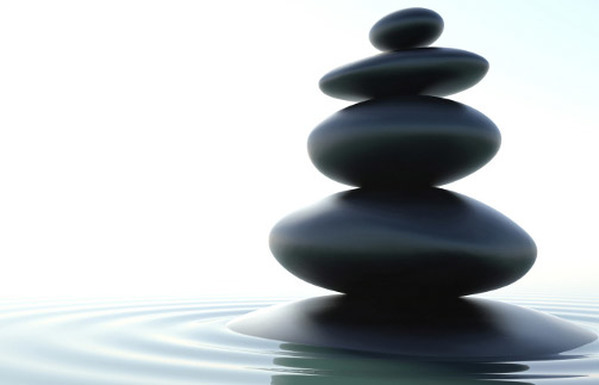 Meditation does not preclude or diminish the power of therapeutic methods. They are powerful in their own right. There are trained people out there who can work with you to navigate your suffering. Do not be scared to seek help.” The prevalence of diagnoses of depression continues to increase, and other mental health issues such as anxiety is also on the rise. Meditation has been studied to determine the effectiveness of mindfulness meditation to decrease depressive symptoms, and some research indicates that the clinical significance of meditation is at .03, which is the same as the studies that show the effectiveness of antidepressants. However, that does not necessarily mean that one can entirely replace the other. Depression is a serious illness and suicidal ideations often accompany depressive symptoms - Seeking professional help is important. A professional can perform a complete assessment and help the client to learn multiple techniques to learn how to manage their depressive symptoms, and they may also recommend medication or an evaluation for a psychiatrist. Meditation is a safe alternative that is cost effective and can be combined with other techniques such as cognitive therapy and medication. For those with depressive symptoms, multiple methods of treatment are available, and if you or a loved one is suicidal, seek out emergency services. Remember if a loved one is depressed, asking them if they are suicidal will not make them suicidal. Having a candid conversation may save your loved ones life and provide an opportunity to receive professional treatment. I cannot begin to understand what goes through the mind of a person just before they commit suicide. I would think they had to be in a very contemplative state even if they weren’t meditating, but I would think that anyone of who reaches the point where they believe that dying is less painful than living must be facing some form of extreme depression - A contemplative depression? I have known a few people who have committed suicide, and it does not matter the method they choose to complete the task, the result is always final. The question I have often asked is, “How bad did ‘it’ have to be that dying was the best option?”. The ‘it’, I refer to, is different for everyone. For some people years pass before the ‘it’ comes, while for others it may be minutes. I remember September 11, 2001. I remember after the planes crashed into the WTC Twin Towers and the infernos of jet fuel spread throughout the upper floors. At some point certain occupants of the building thought it better to jump to their death rather than face the flames. On that day, in that location, in a very brief amount of time, those people identified ‘it’ and made a decision - What a powerful moment of decision that must have been. There was a time knew an elderly gentleman who had been married for over 50 years to his wife - She was diagnosed with Alzheimer’s disease. With the progression of the disease she eventually had to be institutionalized because he could no longer care for her, and she eventually stopped recognizing him or knowing his name. However, he persisted in visiting her everyday until he was no longer able to drive safely and had his license revoked. Through all of this pain he came to a point where he chose to take his own life because of the depression he faced in not being able to care for his wife. It took him years, but he identified ‘it’ - His decision was to end the pain. Why can’t we as therapists identify ‘it’ before it becomes tragically too late, and how do we incorporate some form of meditative practice into the psychotherapeutic process?